Watching The Daily Show on Thursday night, it seemed that some folks, who are outside the gun world, are having a hard time understanding the reasons the Manchin-Toomey-Schumer bill was voted down. 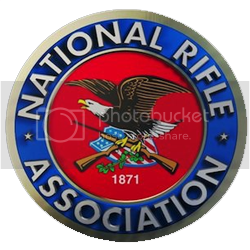 Because they don't grasp our thinking, they are turning to their default reasoning, "the NRA made them do it". So once again I will take on the challenge of explaining the thinking of pro-gun-rightsists, while calmly speaking the language of those in the middle and avoiding the phrase, "...because the Second Ammendment says so!" To listen to John Stewart explain it, you would think that the bill said, "If a person buys a gun online or at a Gun show, they will have to submit to a background check in order to make the purchase. This will stop criminals from using these methods to procure guns." Of corse, we know, legislation is never as simple as that. The shooter in Sandy Hook, CT killed his mother and stole her guns. He did not fill out a 4473 or pass a background check. He didn't buy his guns on the Internet or at a Gun show, either. Therefore this bill, had it been enacted this time last year, would not have prevented or even addressed the crimes he committed. Just sayin. The bill was named the "Public Safety and Second Amendment Rights Protection Act of 2013" which sounds almost as friendly as the "Universal Background Checks Bill" which was how most had come to refer to it. The problem was, the bill had plenty of loop holes of its own, and these caused many gun-owners to fear for their rights. Some of the issues the bill attempted to address were, internet sales, gun show sales, private gun sales and a national gun/gun-owner registry. The bill also addresses interstate transportation of firearms, but we'll save that little gem for another time. For those who did not read the actual text of the bill and for those who are not involved in the gun world, many misconceptions are available. Therefore, I've sorted these perspectives into categories for each of the issues ad. Assumption: If buying a gun on the Internet, buyer doesn't have to submit to a background check. Reality: Only if the buyer and the seller are in the same state can the seller ship the gun to the buyer without any paperwork. Otherwise, the seller ships the gun to a local gun store, chosen by the buyer, where the buyer does a background check at the store, before taking the gun home. Bill: A background check would now be required for almost all gun sales, especially those that begin on the Internet. Assumption: They don't do background checks at gun shows. Reality: If a gun store (FFL holder) goes to a Gun Show to sell his wares, he still must do a background check on those to whom he sells guns. If an individual wants to sell his collection at a Gun Show or anywhere else, there is, generally, no paperwork required. Assumption: Every gun sale should be overseen by the government so that we can be sure that guns are not being sold to criminals. Reality: Every state has slightly different rules, but generally, the buying and selling of a gun between two private individuals doesn't not require a background check. Bill: Almost every sale of a firearm would have to include a background check, however, the bill does not state exactly how this would be done. Will the individual seller have to keep transaction records should the ATF wish to follow up? Will the seller do this record keeping correctly (it's actually a very complicated process)? If an individual seller has to keep records of the sale, does this mean they will hold on to the buyer's private information? Assumption: The bill does not specify the creation of a national registry, so why are we talking about it? Reality: The bill does address it, and the wording is tricky, making the creation of a registry easier than it has been previously. Bill: In the most simple terms, the bill very narrowly states that the US Attorney General will not make a single gun registry, but the wording doesn't bar other government entities from doing so. This explanation has been highly simplified & considers the rules based on the laws followed by the majority of state.